Hot Wheels® Celebrates 50th Anniversary | Mattel Inc.
EL SEGUNDO, Calif., May 18, 2018 /PRNewswire/ -- Today, Hot Wheels, the number-one selling toy in the world* with nearly 500 million units sold every year, celebrates its 50th anniversary. "For 50 years Hot Wheels' intuitive vehicle play-pattern has contributed to its success as the number-one selling toy in the world," said Chris Down, Senior Vice President and Global Brand GM, Hot Wheels. "Since its introduction in 1968, the brand has evolved from a simple toy into a true lifestyle brand that champions the challenger spirit through gaming, digital content, partnerships and live experiences spanning multiple generations and ages — this has allowed the brand to remain relevant to kids and adults and see record growth over the past three years." Hot Wheels Athlete Sponsorships: Hot Wheels has also signed leading young athletes across BMX, skate and karting that embody the challenger spirit, including professional skateboarder Zion Wright, top amateur skateboarder Gavin Bottger, professional BMX rider Sean Ricany, top amateur BMX rider Kaden Stone and emerging kart racer Sebastian Wheldon. 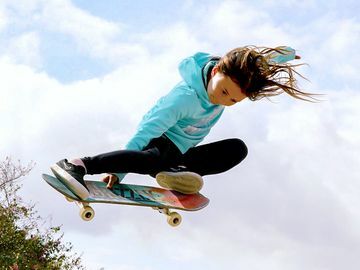 We'll be partnering with these athletes to create original content throughout the year so they can inspire kids to take on new challenges and achieve their goals. The Children's Museum of Indianapolis: Hot Wheels™: Race to Win™ Exhibit will return to the world's largest children museum on May 19, 2018. Fans will get a firsthand look at the thrilling science, speed and safety of motorsports with Hot Wheels cars and tracks, positioned alongside full-sized racecars, artifacts and memorabilia. Hot Wheels 50th Originals Collection: On May 18, the official birthday for Hot Wheels, the brand will release replicas of five Hot Wheels originals from the "Sweet 16" with legacy graphics, original packaging and original detailed Spectraflame™ paint, Redline wheels and a collectible button. Each car will include a code where one-winner in the United States will win a life-size 50th anniversary Hot Wheels Camaro. Hot Wheels™ City: For the youngest Hot Wheels fan, the brand is introducing Hot Wheels City, a system of play that blends imaginative vehicle "push-around" play and classic "crash-and-bash" action. 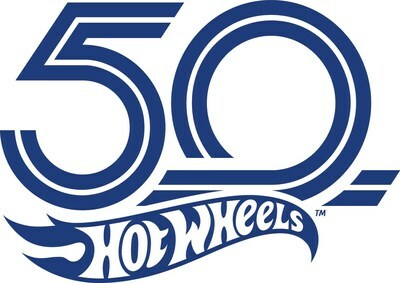 The Hot Wheels 50th anniversary celebration will include an array of products and partnerships that pay tribute to the brand's iconic heritage from best-in-class partners that share our values and bring authenticity, credibility and expertise in their categories that resonate with our fans. The Evolution of a Diecast: The Hot Wheels evolution video created in partnership with Race Service, will honor the more than five-decades of Hot Wheels die-cast design and performance, along with the toy's influence on the auto industry and ties to pop-culture. This new video launching on May 18th is the latest installment in Donut Media's successful evolution series which highlights cars and brands that have revolutionized car culture. Nico Rosberg: Hot Wheels will partner with 2016 Formula 1 champion Nico Rosberg. As a brand ambassador, Rosberg will help amplify the brand's purpose to ignite the challenger spirit and celebrate the Hot Wheels brand history and deep-rooted ties to racing. The Hot Wheels Book by Assouline: This ultimate collectors' book encapsulates Hot Wheels history through photography. It chronicles the origins and technical evolution of the toy, and where Hot Wheels brand is today. The book will be available in June 2018.